Shin Woojin was twenty-one and newly married the first time he crossed the border. He went with a friend, someone he’d known since childhood, late one night in June 2004. They had set out on foot, but shortly before midnight, when they reached a remote area near the grassy banks of the Tumen, they were stopped by a pair of soldiers emerging from the surrounding shadows. Woojin and his friend, Gi Deuk, were not surprised by the encounter and handed over a wad of tattered bills and a few packs of cigarettes, sure to please. At first, the soldiers sneered at this meager offering and in a showy display of bravado roughly searched the two young men and the canvas rucksacks they carried with them for anything else that could be confiscated. For something to eat was what they were really after. But when it became clear that the two travelers had neither food nor any more money, the baggily uniformed soldiers wordlessly waved them past, and Woojin and Gi Deuk hurried down to the river’s edge, where they stripped off their clothes and stuffed them in the rucksacks. Then, with the clothes-filled bags held atop their heads, they stepped into the fast-flowing, icy river and slowly waded their way out of North Korea and into China, another world as far as they were concerned. Once on dry land and dressed again, they walked all night. They followed the forest trails up and down a range of hills that led them to a small village and the home of Gi Deuk’s uncle, a pastor in a local church. At the time, these words--pastor, church—meant nothing to Woojin, who only understood them to be somehow associated with Christianity, something that was banned where he came from. It frightened him a little, meeting a man of religion, but Gi Deuk, who had made the journey twice before, assured him that his uncle was an ordinary man, a good, kind man who could be counted on to help them in times of need. In the hour before dawn, when they arrived at the village and the pastor opened his door—he was a grey-haired, portly man, smiling and friendly looking—Woojin knew at once he was someone he could trust, a man who lived in what at first appeared to be lavish comfort, only later understanding this was really an ordinary house, plain and simple. The pastor invited the two men inside and prepared for them a large meal of chigae and rice, fried fish, dumplings and pickled vegetables. Woojin had seldom seen this much food—once at a wedding feast, once on the occasion of the Dear Leader’s Birthday—but even then the food was of such poor quality compared to what was spread out before them now. As they ate, he began to see himself the way the pastor must have seen them: the griminess of their appearance, the filthiness of their hands and faces, their blackened nails and ragged clothes. The shame of their desperation. Silently, hungrily, the two young men ate everything that was set before them, and when their host offered more, they couldn’t restrain themselves from accepting. When they’d eaten all they could, the pastor talked about the grace of God, his love and generosity, and the sacrifice of his only begotten son. But the words were mysterious and nonsensical to Woojin, and his mind was elsewhere, dwelling instead on his own humiliation, the paradoxical satisfaction of his stomach, and the possibilities of the world that had just opened up before him. “What’s the matter?” the pastor said. Woojin wiped his face. “Like dogs,” he replied, unable to explain further. Before they left that night, the pastor, who anticipated his nephew’s intermittent visits, handed his two guests an envelope stuffed with a few hundred Chinese yuan and another hundred in euros. He gave them a dozen packages of underwear and socks, six cartons of cigarettes, and, most valuable of all, a stack of a hundred or so pirated movies on compact disks: goods they could quietly sell on the black market for a handsome profit, if they were careful. With the rucksacks now strapped to their backs, their goods stuffed inside, they thanked the pastor and returned home the same way they’d come, another bribe in hand. The two friends argued about it at first, how to divide what had been given them, but in the end they decided to split everything evenly, everything but the disks. Gi Deuk claimed he deserved a larger share of the movies and the potential profits he could earn from them—it being his uncle, after all, he argued. I wouldn't have known any of this had i not answered the door that day, and for a good minute or two, I was tempted not to. More than a week had passed since the first of the month, and what more could I tell her? “I’m getting paid next week. I’ll get it to you then.” But I had the TV on for company (I was home early, marking essays), and I knew she could hear the high drama of daytime television being played out on screen; there was no running away. Oh, I probably would have seen them eventually, like most of the tenants in our low-rise apartment building in the east end of Toronto, stomping the snow off their boots in the lobby, trudging up and down the stairs with their heavy bags of groceries, but I don’t think I would have given them much thought. If I even noticed them at all. Just another family from elsewhere starting a new life in Canada, might have been the extent of my impression. Just like so many others here. Just like myself. But I probably wouldn’t have known anything about them or where they were from. “In a minute,” I said loudly, addressing the door, and when I peered through the glass, there she was, Gladys, the super, her large bulk made even larger through the fisheye lens of the peephole. What surprised me were the blurry figures behind her: a man, a woman, and what appeared to be a small child. They were a tiny couple, no taller than five feet, Asian, with a little boy, a toddler, straddling the woman’s hip. They looked to be in their late twenties, but it was hard to tell: they had the dark, weathered look of people who’ve spent their lives working outdoors, possibly making them look older than they really were. Farmers, I thought. Chinese. Maybe Vietnamese. I unhooked the chain and pulled the door wide open. “They’re Korean?” I said, surprised. “Refugees,” she replied, which puzzled me even more. They were both plainly dressed—he in a baggy sweatshirt and jeans; she in an old-fashioned frilly blouse—clothes that didn’t at all tally with the young Koreans you often see here, in Toronto, the language students that come for a year or two, fashion-savvy and brand-conscious, instantly recognizable by their stylish and unmistakable eyewear. The woman was too shy to look at me and busied herself with the little boy, patting down stray wisps of hair and lightly pressing a finger to his lips, while the man gave me what seemed to be an apologetic look, as if to say that showing up at my door was not his idea and that he and his wife had been dragged here unwillingly. I had once lived in the South, in Seoul, for just over a decade, teaching English to university freshmen during the day and rich and bored housewives at night. Over the years, in my spare time, I studied the language, even got to be pretty good at it. But like most people, I’ve never set foot in the North, got no closer to it, in fact, than the USO-led tour to the DMZ and its uninspiring view of barren, deforested hills and an empty stage prop of a village that revealed nothing more than the false face of official North Korea. I’d never met anyone from the North before—who has?—and I think I must have dumbly stared at them for a full minute, trying to imagine life in that blank void of a country on the world’s map and how it had etched itself on those dark, weather-beaten faces in front of me. “Their faucet’s leaking,” I said. I relayed more questions and answers, promises of a speedy repair, but, oddly, they didn’t seem at all surprised that I could speak to them in Korean, as if it were the most ordinary thing. “Chogeeyo,” the man said, suddenly producing an apple that he must have been holding the whole time. Smiling, he handed it to me, a puny, knotty-looking thing. “Mashesoyo,” he said. Delicious. I gazed down at this unexpected gift cupped in my hand, then back up at him. He had a handsome, angular face, I now saw—they both did—sharp, yet fine-featured, with eyes that seemed both eager to trust yet afraid to do so. Like many in the town, they lived in a harmonica house, a long, grey building of single-room dwellings separated by thin, cardboard-like walls, one square cell after the other. With the curtains drawn tight and the sound turned so low that it was nearly impossible to hear, they would sit on the floor, close to the TV, and watch movies, foreign movies. In the mornings, usually, the only time of day the electricity might blink on for an hour or two. To muffle out the sound even more and, possibly, to prevent the eyes of the Great and Dear Leaders from observing—those two frowning faces that grimly gaze down from behind framed glass in every room of every building—they covered both themselves and the television in a blanket, like children pretending to be in a tent. It wasn’t the first time he’d seen images of the world beyond his own. All he had to do, in fact, was look at the town on the far shore of the river to catch glimpses of it: the distant, toylike movement of sleek, shiny vehicles, the colorful moving dots that were people going about their business, the intricately scaffolded construction of tall new buildings. It was a town that was vibrant and alive and completely unlike the one in which he lived, with its nearly trafficless streets and abandoned factories and mines, its apartment buildings and government offices mossy with neglect and decay, a place so moribund that even color seemed like a lavish, bourgeois extravagance. And each night, when the last streaks of sunlight faded with the passing day and the town receded into darkness, it was as though it and the surrounding countryside were a vast and unpeopled desert, infinitely black and silent. But it was through foreign movies that Woojin gained his knowledge of the broader world, of America, his country’s enemy. Often, he would stare fixedly at the screen, barely even comprehending the story but simply observing the lives these characters led, their wealth and beauty, their clothes, the enviable pettiness of their tribulations and sorrows. Could it all be real? he had often wondered. Or were these elaborate sets the product of some lunatic’s vision? But what was different about the disks he had smuggled back was that it was the first time he and his family saw images of their brethren, the people of the South. Rumors abounded, of course, hints and whispers that the South was not as poor as they had been taught in school, as official policy dictated. But no matter what they had heard, it was still no less of a shock to see a people who looked and sounded so similar to be living in such luxury. Even their poor seemed enviable by comparison. A week after he’d made the crossing, Mrs. Cho, the old widow from next door, stopped him on the street. “Did you hear?” she whispered. “Your friend, what’s his name? Rumor was he’d been heard to say something disparaging about the regime. Others said a distant relative of his was discovered to have supported the South during the war. She prattled on in this way, but Woojin was no longer listening. He was already racing back home, setting fire to the disks in the wood-burning stove in the house. She would see it—the smoke—think it suspicious after what she’d told him, and would say so to anyone who’d listen. But what choice did he have? Better that than to leave behind hard evidence. And that’s what he did when she finally let him go. It didn’t matter, he thought, as he watched the disks blacken and curl. Images and ideas had already entered his head, and nothing could erase that now. Late that afternoon, three men pounded on the door, the Boweebu—the State Police. Plainclothes officers. They emptied drawers and cupboards, cut holes in the walls and ceiling, turned everything inside out as Woojin and his family stood by and watched. When they searched the stove and found a blackened piece of plastic (they took no notice of the underwear and socks), they hauled him off to a detention facility, where he was imprisoned, beaten, and interrogated. Who else was involved? they wanted to know. Where were the disks he’d brought? Whom had he sold them to? How often had he crossed the border? Where and when? He denied everything, told them lies. When two months had passed he was transferred to a kyohwaso—a reeducation camp—crowded with smugglers and other so-called economic criminals. There, the interrogations were less frequent (it no longer mattered what he said; he freely confessed to anything), but the beatings were more severe. They used a heavy, well-worn bat to club him in the chest and back, his legs, the bottoms of his feet, and across his stomach. Everywhere but his head, to keep him conscious for as long as possible. And when he did pass out, they’d start in on him again the moment he woke up. When he wasn’t being beaten, he was kept in a large unheated cell with dozens of other men. They were fed once a day, given what the guards called “rice balls,” though what it consisted of was mostly corn, ground-up pieces of husk and leaves rolled into an unappetizing wad. This was the real torture: the slow, banal agony of hunger. At night, he slept on a concrete floor and shared a blanket with as many as eight other men to stay warm, alternating head and feet to maximize their numbers. Sometimes, in the middle of the night, the floor would turn wet and a bubbly froth would rise to one of the men’s lips, sometimes a long sigh. But there was no point in alerting the guards. They’d refuse to do anything about it until daybreak, and all the prisoners could do was drag the body into a corner and try to resume sleeping under a blanket slightly less cramped than before. “Go, take him with you,” the guards said one day to his father and Mi Jung, who had come to visit him two months into his incarceration. Perhaps he was already close to death, and rather than deal with the corpse, they handed him over to his family. “Babo! Babo!” his mother cried when she saw her husband and Mi Jung carry him in through the door, his body a patchwork of deep, darkly purple bruises and red, pustular sores, a body bony from hunger and no longer able to stand on its own. “You fool! You fool!” she cried. “Why did you ever cross the border? Why did you have to go there?" RON SCHAFRICK was born and grew up in Welland, Ontario, and studied English and history at Carleton and Concordia before traveling to Korea, where he taught English for nine years. 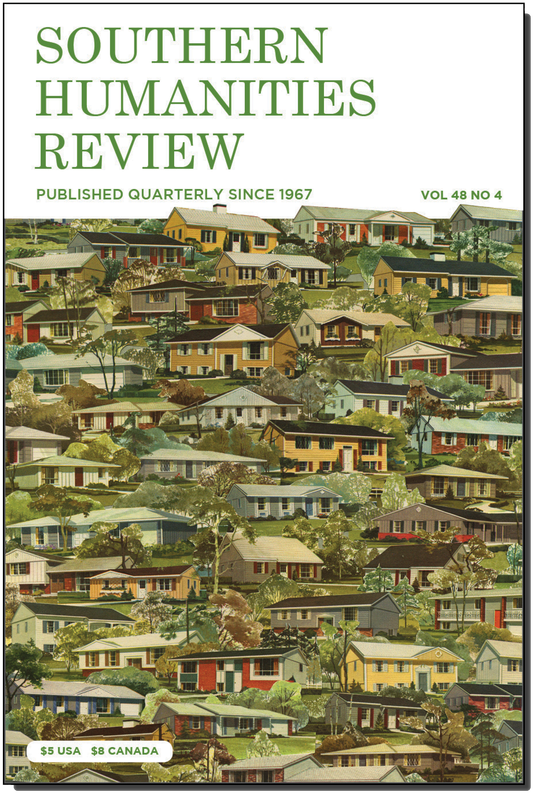 Since returning to Canada, his stories have appeared in a number of journals, including The Dalhousie Review, The Prairie Journal, The Antigonish Review, Asia Literary Review, FreeFall, The Toronto Quarterly, The Nashwaak Review, and The New Quarterly. His first collection of stories, <i>Interpreters</i>, was generously supported by the Ontario Arts Council, the Toronto Arts Council, and the Canada Council for the Arts.